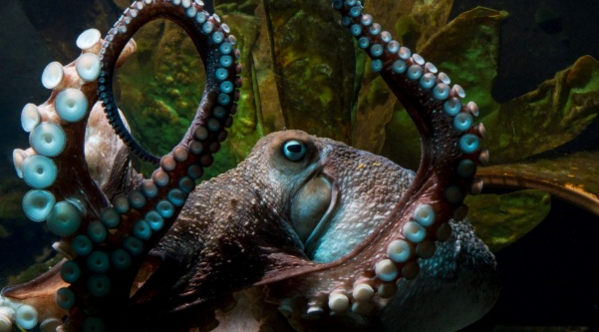 Inky the octopus made an escape from the National Aquarium of New Zealand in the town of Napier a few months back, but it was recently announced. Super smart Inky waited for the staff to all leave before making an attempt for his escape. Most likely, he squirmed out of a small opening at the top of his tank. He made his way down, and moved across the floor. He squished and squeezed his rugby ball-sized body into a drain hole. He shook and swayed his body down a 50 meter (164 feet) long pipe and made his getaway into the waters of Hawke’s Bay. Here is a video showing an octopus escaping through a very small hole on a boat.